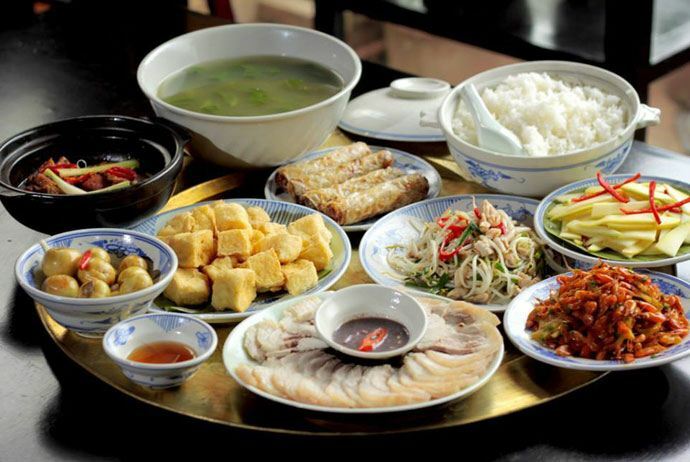 Home » Vietnam Travel » Vietnamese Food » Is Vietnamese Food Healthy? 15+ Best Healthy Foods In Vietnam! In the past, Tue Tinh, Hai Thuong Lan Ong – the two famous Vietnamese physicians emphasized the important role of food in preventing and treating some certain diseases. The reality has proven that nutrition has huge impacts to human health. The main goal of eating food is to feed your body nutrients, nurture organs and improve the whole human health system. However, eating is actually an art and people also need to realize and be aware clearly of some other meanings of eating, such as to express the attachment and the love between children and parents; to represent the traditional culture of the country and community. This article will help you understand more about the cultural and the nutritional quality of Vietnamese food. Actually, you will have the exact answer for the question: is Vietnamese food healthy, and also catch some Vietnamese food names which are really healthy for human beings. I. The Fact Of Vietnamese Food & Is Vietnamese Food Healthy? In recent years, the food culture has become an important factor in the tourism development. In this context, the issue of exploiting the Vietnam’s culinary to promote tourism and attract tourists is what the management agencies especially interest in the most. In the trend that the tourism demands are very diversified, food and cuisine not only acts as a support element, merely serves the eating needs and requirements of customers, but it has become the purpose of the travel holders and agencies. In fact, many travel agencies in the world have organized some culinary tourism programs with the major aim is to serve the needs of the tourists in enjoying the special traditional food taste in the tourist destinations. Stemming from that reason, in recent years, food culture has become one of the factors which are exploited and used in promotional activities to attract tourists. However, there is a fact that the current use of food elements to organize promotional activities to attract international tourists drags on several issues which are need to be modified and improved to better suit the needs and response the tourism promotion activities more effectively. 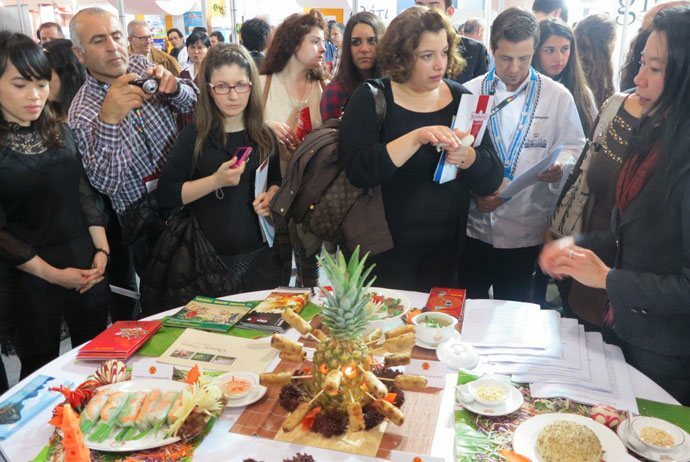 Based on many extensive researches and the awareness of the current tourism’s situation as well as the promotion activities, the goal of this article is referring to the role of food culture in the field of tourism promotion and threading export-oriented and solution to exploit the values of Vietnamese food culture in order to attract international tourists. Vietnamese cuisine has its own features depending on the culinary of the North, Central and South regions. 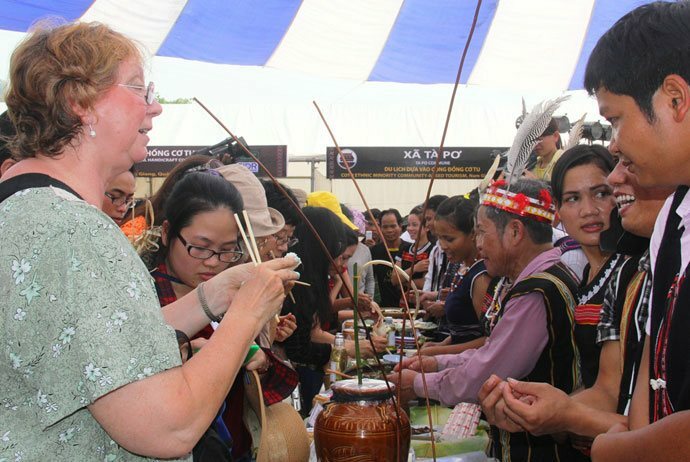 Each region has specific dishes affected people’s habits and plentiful natural conditions, creating the cultural diversity of the whole country’s cuisine. Vietnam’s food culture was formed and developed in the association with the development of the whole society. Vietnamese food today has undergone long-term development of the national history, so it is very diverse and harmonious. There are pure Vietnamese dishes, and there are also dishes influenced by Chinese food culture, French food culture, and even Indian food culture. Due to the trade between countries, Vietnam cuisine is influenced by the cooking methods of India with characteristic spices and typical dishes. The historical period of nearly 1,000 years under China showed that not only Vietnamese people’s writing but also their eating habits and cooking methods are affected by China, creating a system of foods which carry some features of the Chinese cuisine. 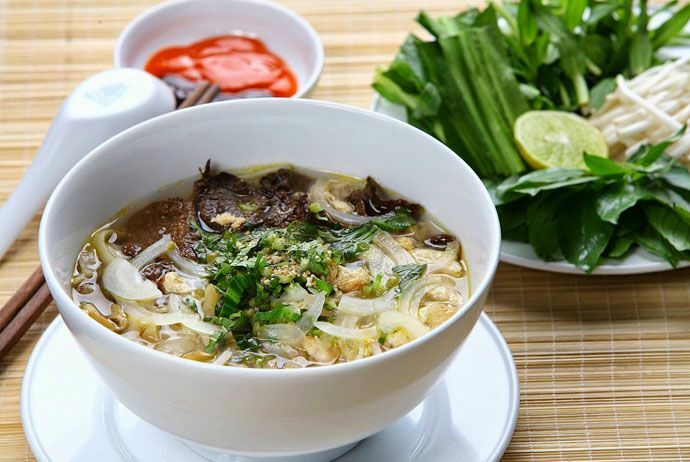 Besides, with nearly 100 years under French colonial rule, Vietnam cuisine is also influenced greatly by the typical cooking methods of French people with many kinds of sauce and broth. In the current time period, in the context of deep globalization and international economic integration, Vietnamese food culture has a lot of favorable conditions for its continuous development and growth. Vietnamese food is not only tasty, but also very good for human health. Vietnamese dishes are gluten-free, really low in fat, and jam-packed with a lot of healthy and necessary minerals and vitamins, which are perfect for human beings to boost the immune system, lose extra weight, and provide our own body the energy it needs. Eating Vietnamese food will help to cut calories and you will eat less fat because instead of oil or dairy, Vietnamese dishes is flavored with many kinds of spices and herbs and is jam-packed with fresh vegetables and fruits. Most Vietnamese dressings, authentic dishes, and sauces you will find in restaurants are very low in fat and calories. 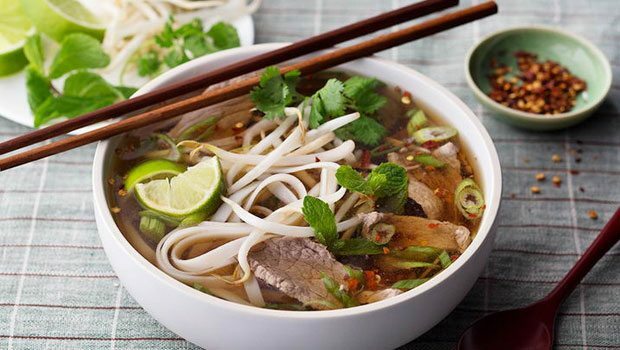 Even a giant bowl of Vietnamese noodle soup (“Pho”) just provides 300 to 600 calories, and contains less than 3 grams of fat per serving, meaning that you can eat one bowl of Pho every day for dinner or for lunch as part of a low-fat, calorie controlled diet.